Social media brings people together, gives them an ability to communicate at any time and from any place. At least, it used to be mainly about this. Now, however, social media is so much more than that. People go shopping on social media, make choices and use different services. This is why integrating social media in your application is a great way to attract audience, make onboarding easier and make your application more recognizable. 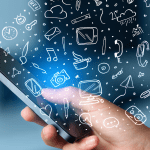 Let’s talk more about the reasons for you to integrate social media into your mobile app. Acquiring users is one of the biggest challenges you’ll face once you deploy your application. The easier the onboarding is, the more people will finally make it through the onboarding stage and stay with you as your app users. People generally expect onboarding with social media, as they’re used to log in with a help of their accounts. Social trust is an important thing that drives sales like nothing else. Build trust with the help of in-app sharing features, and it will inevitably lead to a number of users growing. This, consequently, means more revenue from your application. Maintaining social trust with social media sharing is useful to any app that sells products or services. Ask yourself, how much time people generally spend on social media. Lots of it! And the younger the audience is, the more time it spends by browsing photos in Instagram and making posts in Facebook. 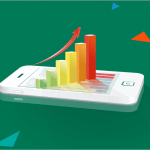 Social media integration in Android or iOS can become a game changer for a process of attracting users and retaining them. If you want your app to be used constantly, link it to social media and allow it to attract users to your app again and again. The same works with websites: social media website integration can lead more people to your website and also attract new people who saw your website on feed. So, you can integrate social media into website or into your app for many reasons. The best way to approach it is to determine where social media integration is the most useful. The first step of app or website social media integration is to make a social media login. It’s a common practice and I personally am a bit surprised when I visit a website that doesn’t have it. The second step is to determine what your target audience uses more often. You can integrate Instagram into website, or Facebook, or even both. For an MVP it’s better to choose one platform and add another one if the need arises. So, social platforms can be integrated into mobile apps and websites with different goals, from making onboarding more convenient to spreading the word about your product across additional marketing channels. Here we’ll explore the social media instruments for your business and the way of integrating Facebook and Instagram into your Android mobile app and your web platform. It’s more convenient for users to log into accounts with third-party services via their Facebook profiles than to register a new account with each service. 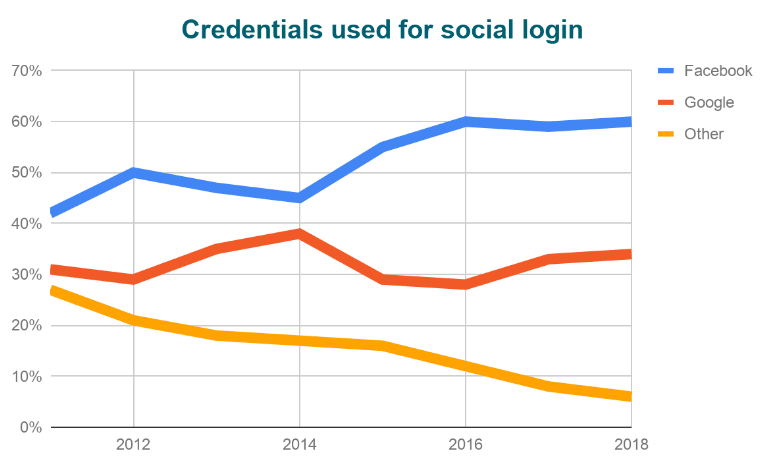 According to Annex Cloud, 77% of users prefer to register and log in via social networks, and 60% gladly use social login on mobile. According to some reports by Loginradius, over 90% of users prefer to sign in with already existing accounts on social platforms. The most popular platform for signing up and logging in is Facebook. Google+ used to be second on the list, but that will change, as Google has announced it will be shutting down Google+. Did you know that people are 80% more likely to purchase a product they saw their friend shared on their Facebook? More stats for you: 85% of people trust product reviews as much as they trust the opinions of their friends and families! Add a Like box FB widget to your web platform to show how many people love your products. With Instagram integration in Android, you can allow users to add photos from Instagram to your web platform. This will instantly make your marketing strategy more effective. Redirect people from your website to your Instagram account and use a whole range of social media marketing tactics to attract and retain users. Sharing buttons are a must for almost every website. Adding them is simple, and can be done either by using special plugins or by adding a few lines of code. Social sharing buttons allow users to share your products on their social media profiles and also reflect how popular each product is. This tool can spread the word about your website and products. Now I’ll give you a detailed tutorial on integrating Facebook and Instagram into your mobile application. 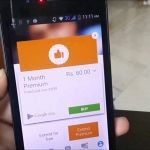 You can also download and integrate the Audience Network SDK for Android to monetize your app with ads using different types of them and the Native Ad API. The Login SDK gives an ability for users to login with their Facebook credentials. When people log in to your app, they can grant permissions so you can retrieve information from their Facebook profiles or perform actions on Facebook on their behalf. To get your Facebook App ID, you need to register and configure your app in the Facebook Developer Console. You won’t be able to use FB APIs and SDKs without an ID. Make sure your app configuration is complete. Some mandatory fields are different for the development and release apps — release apps might require some additional information. Also, don’t forget to switch the app to Live in the FB Console. 4. Adding LoginButton is the easiest thing you can do to enable FB login on your website. You can find it in the SDK. The LoginButton is a UI element that contains features for the LoginManager. When the button is clicked on, login starts to work according to the permissions from LoginManager. The button follows the login state and displays the correct text based on a user’s authentication state. This button uses the default UI and already has Facebook’s strings, colors, and so on. If you want to change some parts of the button’s UI, you can always extend the LoginButton or parents and configure it yourself. 6. Create a callbackManager to handle login responses by calling CallbackManager.Factory.create. You can register a callback to the LoginButton in your onCreate method (for activities) or onCreateView method (for fragments). You can also add the LoginManager callback to your activity’s or fragment’s onCreate method. To respond to a login result, you need to register a callback with either LoginManager or LoginButton. If you register the callback with LoginButton, you don’t need to register the callback with LoginManager. If login is successful, the LoginResult parameter will have the new AccessToken and the most recently granted or declined permissions. 7. Finally, in your onActivityResult method, call callbackManager.onActivityResult to pass the login results to the LoginManager via callbackManager. Every activity and fragment that you integrate with the Facebook Login or Facebook Share SDK should forward onActivityResult to callbackManager. 8. You don’t need a registerCallback for login to succeed. You can choose to follow current access token changes with the AccessTokenTracker class. This class can be extended to receive notifications of access token changes. The AccessTokenTracker.startTracking method, automatically called in the constructor, and the AccessTokenTracker.stopTracking method should be called in the onDestroy method of the receiving activity or fragment. The AccessTokenTracker.onCurrentAccessTokenChanged(AccessToken, AccessToken) method that will be called with the access token changes. Share Dialog is an instrument that allows users to share media content like photos and videos. To make it possible, a user needs a native FB app and 7.0 version. Users can share a combination of photos and videos from your app to Facebook with the Share Dialog. They must have version 7.1 or higher of the native Facebook for Android app installed to share a maximum of six photos and videos at a time. To integrate Instagram into your app, your first step is to register it in the Instagram developer console. You’ll receive an OAuth client_id and client_secret assigned to your app. OAuth 2.0 protocol is necessary for using Instagram API. Note that you need to make the API requests using HTTPS and not HTTP. Remember to store access_tokens securely, as they are unique for each user and they are necessary for authentication requests from users. If a user is entering the website, use Instagram authorization URL. In case they aren’t logged in, they’ll be asked to submit their credentials through Instagram. They’ll also be asked for a permission to use their Instagram data. Server-side flow (recommended): Redirect the user to a URI of your choice. Take the provided code parameter and exchange it for an access_token by POSTing the code to the access_token URL. First step: Direct your user to the Instagram authorization URL. A user will see a login screen of Instagram and another screen for confirming that they give you access to their Instagram data. Second step: Receive the redirect from Instagram. Make sure your redirect ULI host and path components correspond to a registered redirect_uri. If you need dynamic behavior variability, you can add other query parameters into redirect_uri. If you registered the next redirect URI as http://yourcallback.com/?this=that, the http://yourcallback.com/ URI will not be valid, since for the redirected URI http://yourcallback.com/?this=that&another=true is valid in this case. Third step: Request the access_token. redirect_uri — the redirect_uri you used in the authorization request. If successful, you’ll get an OAuth Token you can use for authenticated calls to the API. You should retrieve the access_token String and basic information about «user». Implicit flow: Instead of handling code, we can include the access_token as a fragment (#) in the URL. This method is less secure, so we won’t consider client-side (implicit) authentication. However, this method does allow applications without any server component to receive an access_token. The OAuth 2.0 specification allows you to specify the scope of access you’re requesting from the user. All approved apps have basic access by default, but if you plan on asking for extended access such as to read public content, like, comment, or manage friendships, you’ll need to specify these scopes in your authorization request. Note that in order to use these extended permissions, you must first submit your app for review. You should only request the scope you need at the time of authorization. If in the future you require an additional scope, you may direct the user to the authorization URL to grant that additional scope. If you attempt to perform a request with an access token that isn’t authorized for that scope, you’ll receive an OAuthPermissionsException API error message. An Android app can push videos and photos only via the Instagram app and Android Intents. When a user wants to share photos or videos using Instagram, you should use Android Intents to open media in Instagram’s sharing flow. The Intent will then prompt the user to select the application they wish to send the media to. When triggered, Instagram will immediately present the user with the crop screen. For sharing photos, pass MIME type = «image/*» to the setType method of the Intent; for videos, use MIME type = «video/*». If this Intent is null, it means that the Instagram app isn’t installed on the device and you can navigate the user to the Instagram page on the Google Play Store to install it. Make sure that your shared file has read permission. You can get the file URI via FileProvider and add the Intent.FLAG_GRANT_READ_URI_PERMISSION flag to your Intent. Now you know how to integrate both Facebook and Instagram into your Android mobile application. Contact us for more information on integrating these and other social media services into your website or Android app. We’ll make sure that your social media integration doesn’t just provide the same features everyone else has but is something that brings you loyal clients. If you’re currently shortlisting development companies to increase your online presence, we’ll be glad if you add Mobindustry to your list. To find out more about our company and how we work with clients, visit this article.